Here we have a nice piece of design by another Product Designer at Dundee, Abi Brown. Abi had the idea of personalising an iPad cover for her boyfriend as the perfect accessory for his brand new iPad which he’s getting for his 21st birthday. 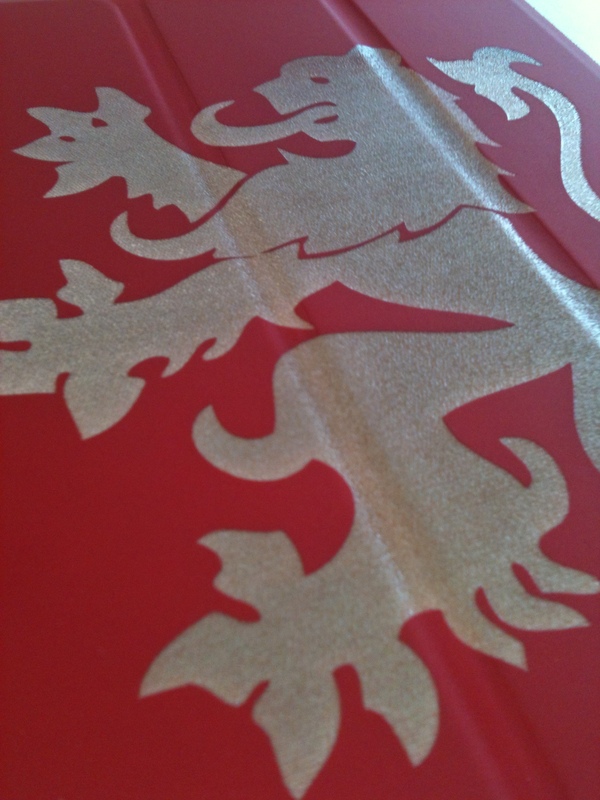 Laser cutting an iPad cover takes a lot of time and costs money so you want to get it right first time. I’m happy that Abi approached me for help after I successfully did one for my Dad last Christmas. It’s worth mentioning that when I did my Dad’s cover I chose a black one which when you cut away the top layer, reveals a second black layer only this one is more textured: you can see it by clicking here. I’ve been surfing on-line greater than three hours nowadays, yet I never found any fascinating article like yours. It’s beautiful worth enough for me. Personally, if all web owners and bloggers made excellent content material as you probably did, the web can be much more useful than ever before.